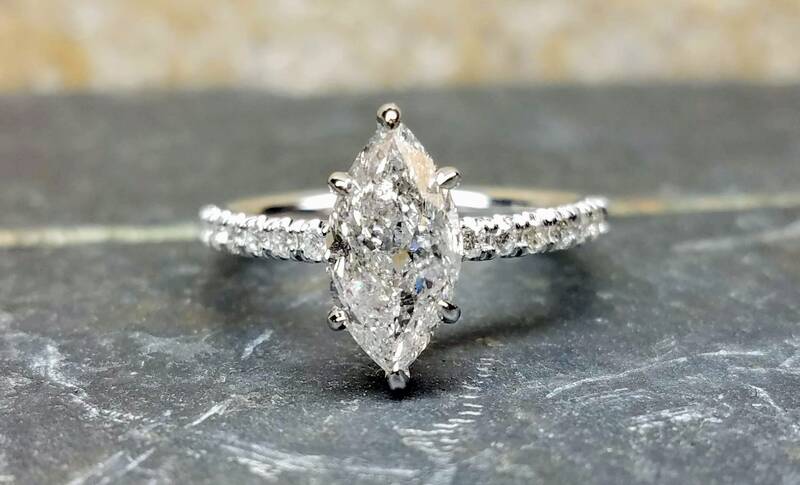 1.5 carat marquise white gold engagement ring. 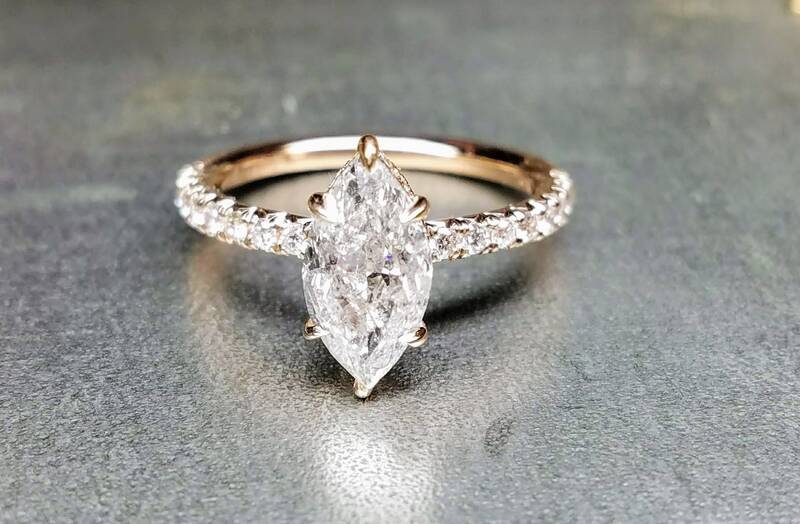 A classic pave set solitaire engagement ring, french cut band design, center marquise diamond is 1.50 carat, D color and I1 in clarity, set on six prongs. 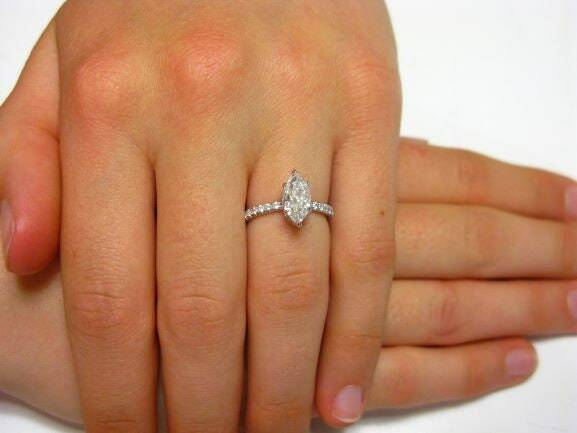 14kt white gold solitaire engagement ring surrounded with 30 diamonds totaling 0.40 carats. 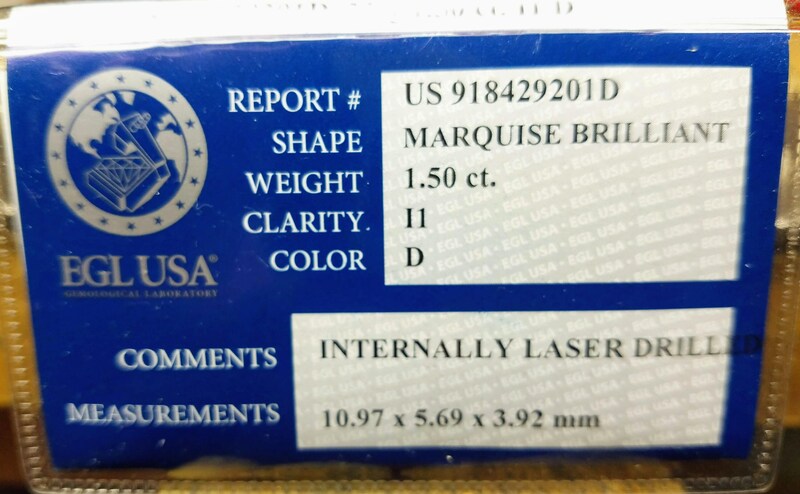 - Marquise: This is a natural, earth mined diamond that has been laser drilled in order to remove many inclusions and imperfections and is EGL (European Gemologocal Laboratories) certified, hence the low price. 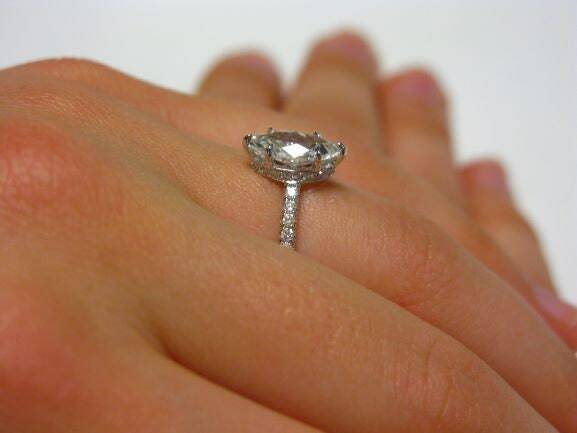 If you would like a non laser drilled diamond, we will gladly supply one for you at different qualities and prices. Please let us know. 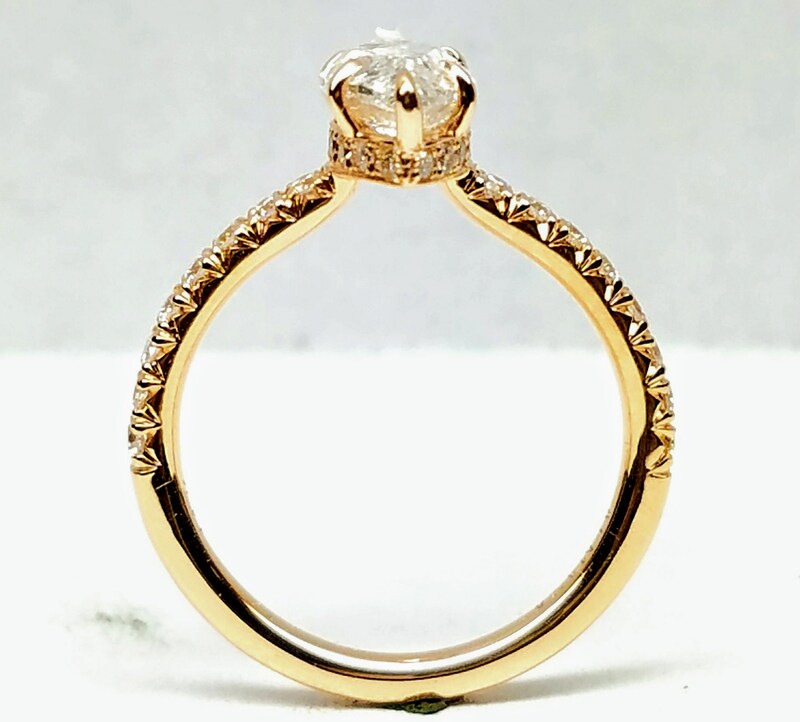 _Laser drilling is a process to improve a diamond’s internal clarity. 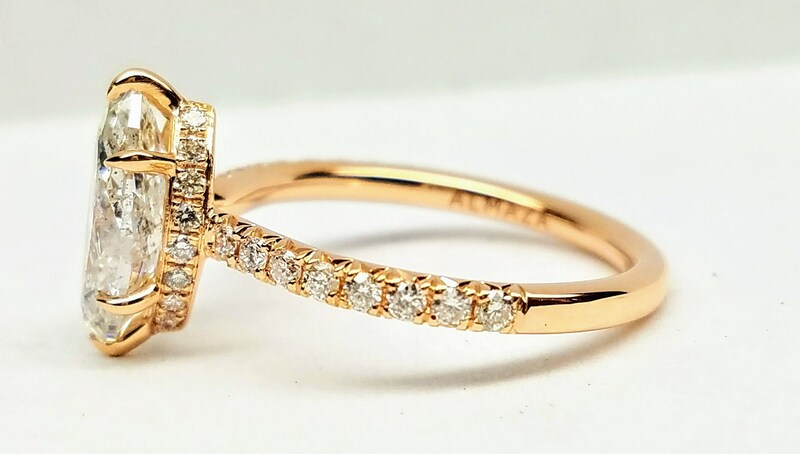 It is performed on natural diamonds with obvious dark inclusions. A microscopic laser is used as a cutting device to remove the spot, resulting in higher clarity. Improved clarity translates to more sparkle. 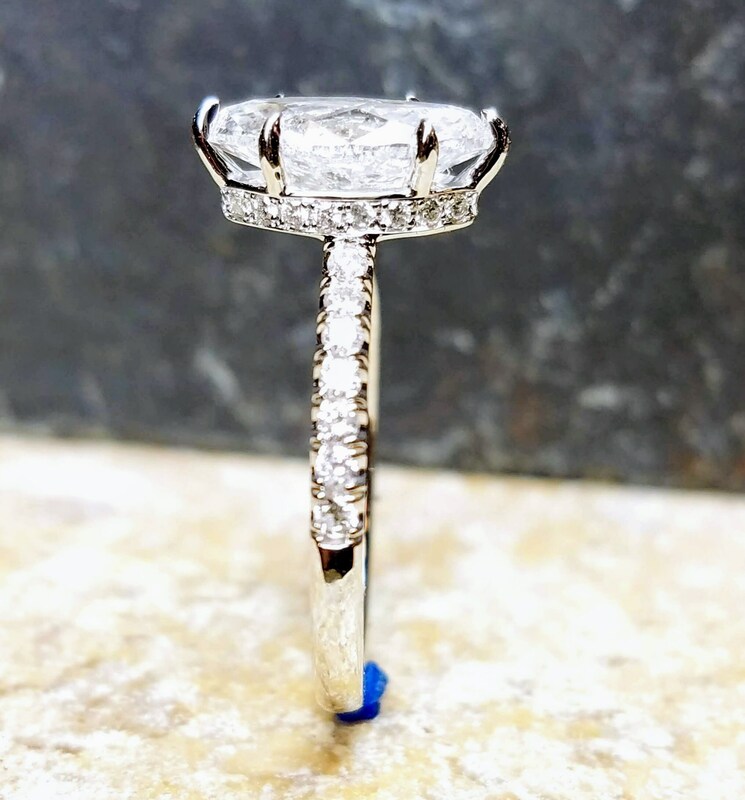 The drilling technique is clean, precise, and does not interfere with the integrity of the diamond. 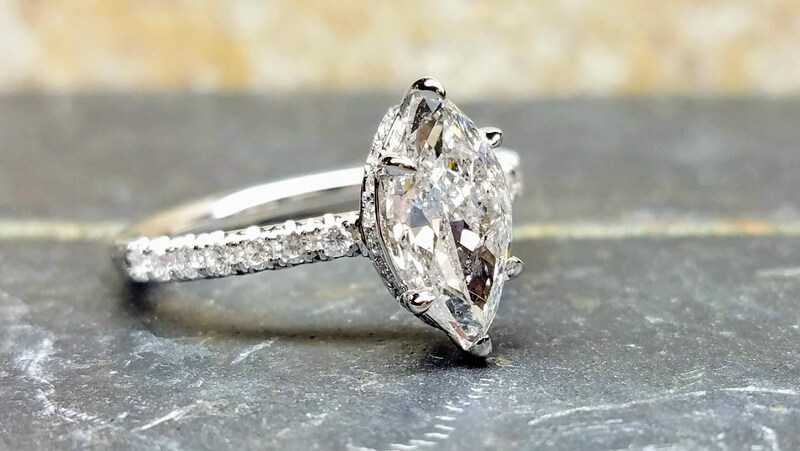 The GIA (Gemological Institute of America) deems the process permanent, meaning it will maintain its stability and visual appeal for a lifetime. 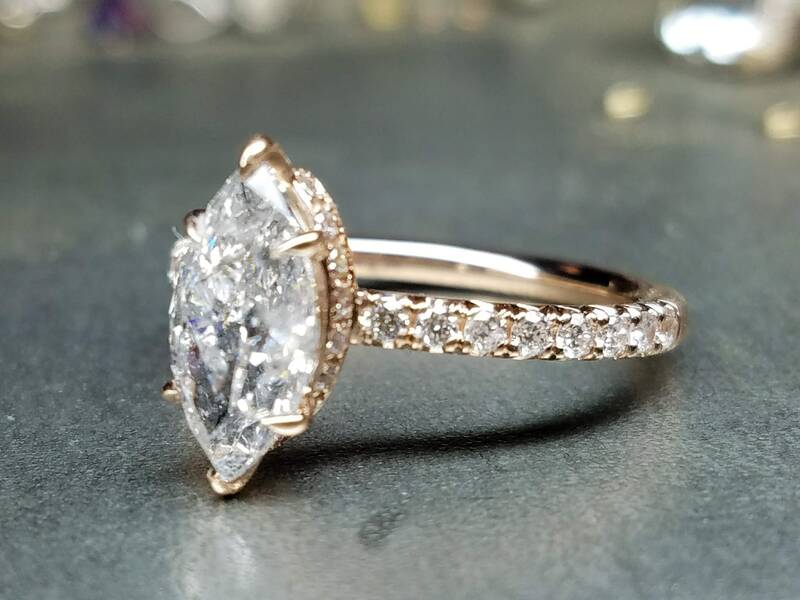 It's more than a ring, it's an everlasting symbol!